The jungles surrounding the village of Minofu are under the thumb of the evil Jagu cult who require a blood sacrifice. A beautiful young woman named Flare has been selected as this season’s offering, however her boyfriend Gogan will not stand for it. 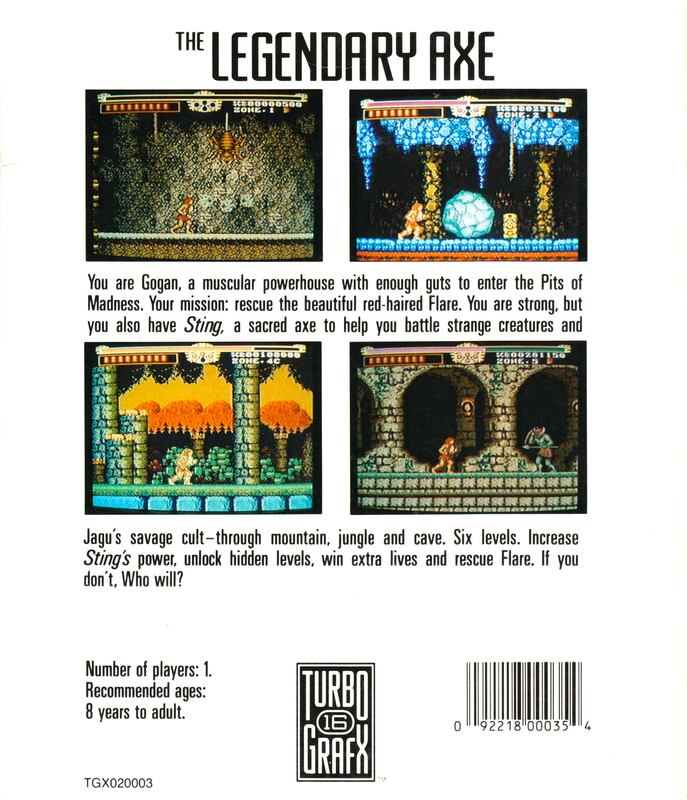 Equipped with the legendary axe ‘Sting’, he braves the six zones of Jagu’s territory to defeat the cult and save his love. Throughout the zones are breakable Jagu idols which drop various sized gems for points leading to extra lives, health revitalizing orbs of differing strength, crown-like crystal containers, and wing icons. Four crystal containers can be earned which charge the destructive power of Sting’s strike, while up to two wings can be collected increasing the speed of subsequent strikes. Each time you use the axe, the power meter drains completely then recharges as long as you don’t continue to swing. The added strategy of - is it better to dodge and charge the axe for a crushing blow, or is it better to hack away as fast as possible – sets this game apart from most other hack-n-slashers. When you die, one level of speed and axe power is taken away and you must re-find an icon to get it back. The game doesn’t lock you to only scrolling right, so there are times where you can backtrack to find items. 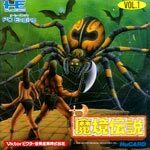 Makyō Densetsu is a well produced, great looking and sounding game, especially for the time of its release. 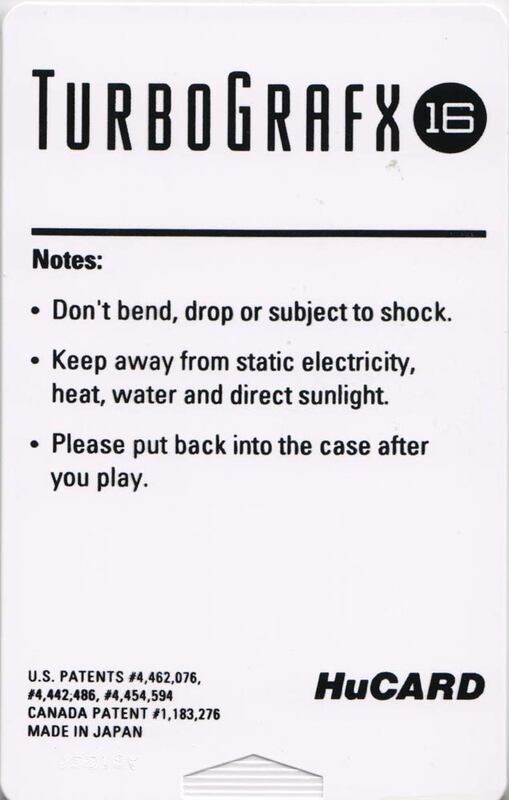 On initial plays it can get frustrating to the point where you want to bung the card out of the window, but give it some time and learn not to rush through the stages and you will uncover a challenging and fairly satisfying action platform game. It does have its faults though, the more tricky platform jumps can be particularly unfair and you begin to question the collision detection, and at times it can seem more like hard work than fun (particularly when compared to its successor). However, it has a charm to it that makes it easy to forgive, and a little practice makes a lot of difference. It's a game that just misses sitting among the top tier of platformers, but it's certainly worth checking out nonetheless. You ever notice how the greats have an outstanding loopy mascot and a heavy hitting side-scroller to really define the system? NES = Mario and Castlevania, Genesis = Sonic and Ghouls N Ghosts (some would say Revenge of Shinobi). 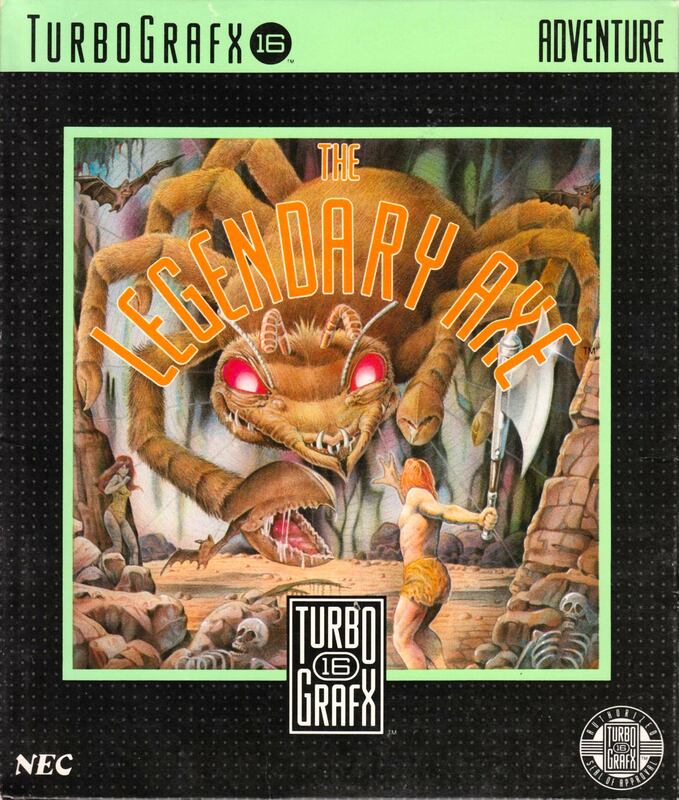 I’d say the TurboGrafx = Bonk and Legendary Axe. Every geek on the planet who could put a quarter in an arcade machine in the late ‘80s holds hack-n-slashers to the ‘Rastan’ standard. 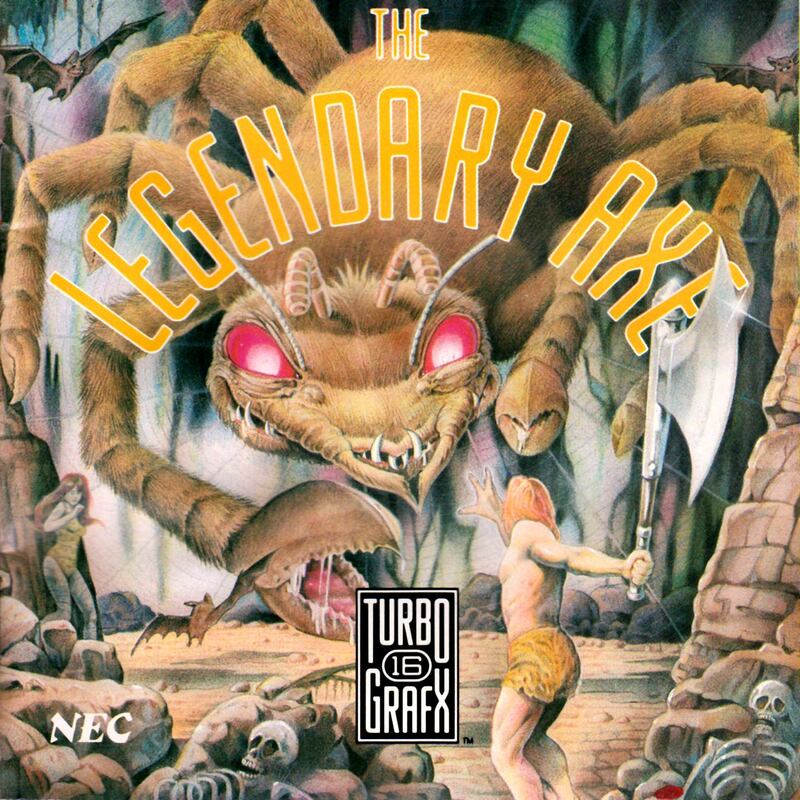 Legendary Axe IS Rastan set in the tropics vs. a European kingdom. IMHO, the only thing this game lacks is parallax scrolling and a digital, “HUH” whenever you jump. The tile work for the graphics is unrivaled. Look at the cliffs, the mountains in the background, the unique way of showing foliage, nothing blocky, almost unnoticeable repeating patterns, attention to lighting - pure artwork. The music is not only arranged well, but the voices chosen for the instruments give it a Latin feel. The character controls are spot-on and you never feel like Gogan is going to slip or be sluggish when you need to move. Finally, I love LOVE the enemy designs and A.I. The designers created some of the funkiest characters to ever grace a game, then gave them multiple frames of animation and attack patterns. Look at so many other games where the characters just zip on screen with two frames of animation, come at you and then die unceremoniously. 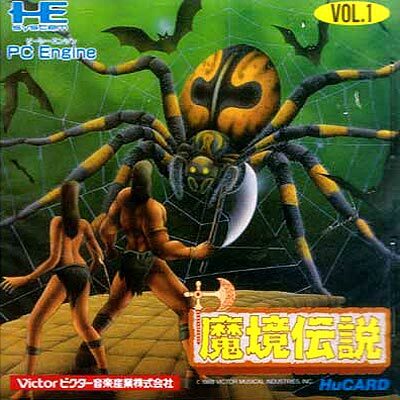 Then watch how the Jagu cult members slide around, jump, do back flips, duck and attack…this game deserved and won Game of the Year back in 1989! 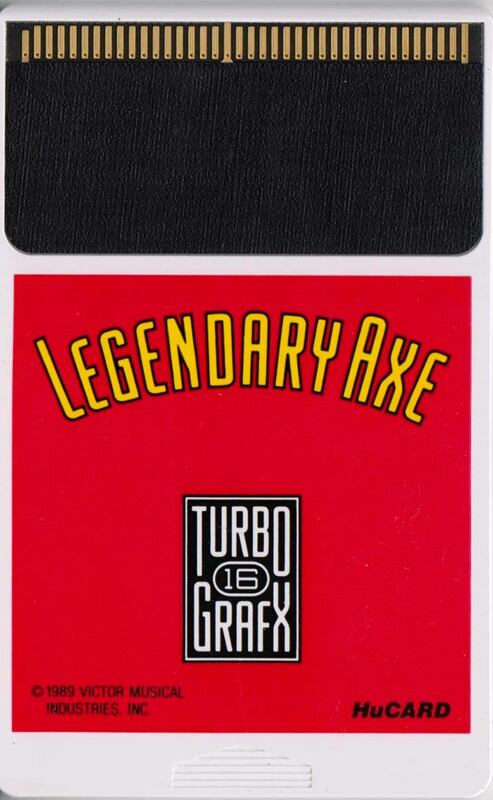 Legendary Axe is a stranger to no-one, a very popular action platformer featuring an innovative charge mechanism. The longer you go without attacking, the more your attack gauge fills, which leads to some interesting tactical play. The spritework I feel has something odd about it - the main character has no face, and a lot of things seem indistinct, but everything is well animated. The backgrounds are definitely the graphical highlight, with low repetition, and gorgeous attention to detail. This one is a must for fans of hack and slash games.